To Write in a Transparent World! 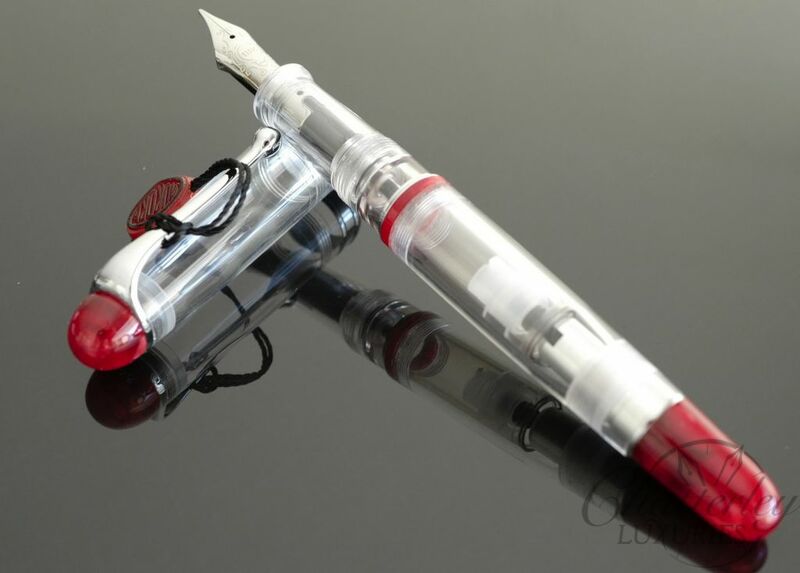 Crystalline spirit in a precious body, the new 88 Red Cinnabar Demonstrator is characterized by a classic style in a transparent resin body arranged with chrome-plating and accented with a beautiful red auroloide. 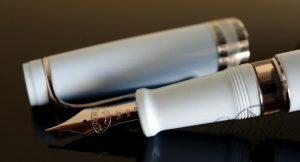 The in house piston-filled fountain pen has Aurora’s hidden reservoir system ensuring an extra page of writing when it appears that your ink has run out. 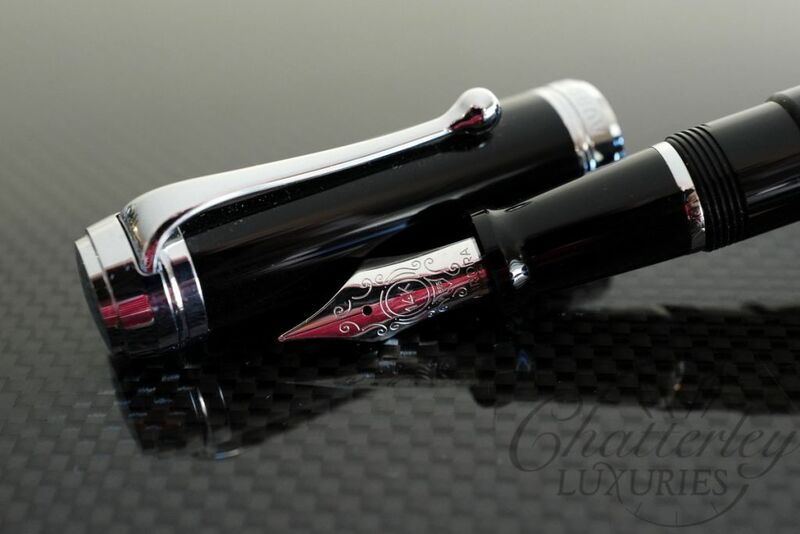 The distinctive in house made 18kt gold nib is available in EF, F, M, Stub, Broad, Double Broad and Italic. Limited to 388 pieces worldwide.